Salve ragazzi mi sono arrivate 2 email da kaspersky lab mitt. kaspersky@uk.kaspersky-mail.co.uk, nella prima mi dice che la mia licenza scade fra 15 giorni e la seconda fra 7 giorni in realtà mancano 168 giorni, a voi è successo? 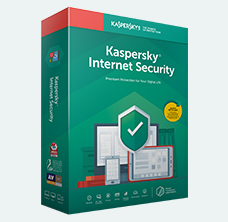 Your Kaspersky Internet Security licence is due to expire in less than 7 days. Don't risk computer infection! Take a moment to renew your licence with Kaspersky now to ensure continued protection for you and your family against malicious online threats. incredibile anch'io lo ricevuto ! Le e-mail sono state inviate per errore da Kaspersky. Dear users! If you have received an email or emails from Kaspersky Lab containing information about the license expiration in 7 or 15 days, please disregard these messages. Please refer to the license section in the Kaspersky Lab product for relevant license expiration date. We apologize for any inconvenience!